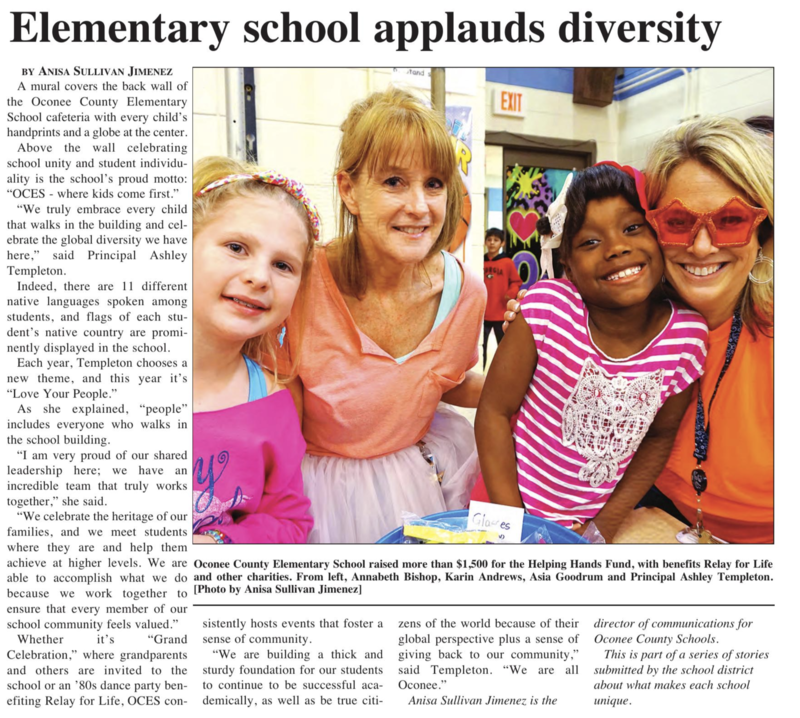 Welcome to the OCES website! This website will provide you with information about our school, students, instructional program, and community. Student Hours: 7:45 a.m.-2:30 p.m.
Students in grades 3-5 will be taking the Georgia Milestones test between the dates of Apr.23 – May 3. Sign ups for middle school band and chorus are officially open! If you're a rising 6th grader and are interested, click on the link above.